Today, Rural Rhythm Records announced the digital album release of Ten by Nu-Blu – now available on iTunes, Amazon, Google Play and other digital stores. The physical CD will be available on July 16th. Ten is now available for radio programmers and DJ’s on AirPlay Direct. Nu-Blu was founded ten years ago by husband and wife team, Carolyn and Daniel Routh, who are joined by long time band members Levi Austin and Austin Koerner to comprise one of today’s most popular bluegrass groups. Through the years and after numerous charted titles, Nu-Blu has developed a solid fan base utilizing the strong lead vocal talents of Carolyn, Daniel and Levi along with their diverse selection of material including original songs, traditional favorites and songs from other genres of music. The appropriately titled Ten contains ten new songs performed in their unique and distinctive style with award-winning special guest musicians Ron Stewart and Jim VanCleve. The up-tempo “That Road”, written by Honi Deaton, kicks of the album and is the first single release. “Ten” celebrates our 10th anniversary with new songs that we feel pass through the full range of emotions. We explore life on the road, family devotion, tragic loss, the joys of love, patriotism, and no regrets. We’ve even included a brand new original instrumental that will leave you breathless. This is our best album to date and we can’t wait to share it with our fans,” says Carolyn Routh. 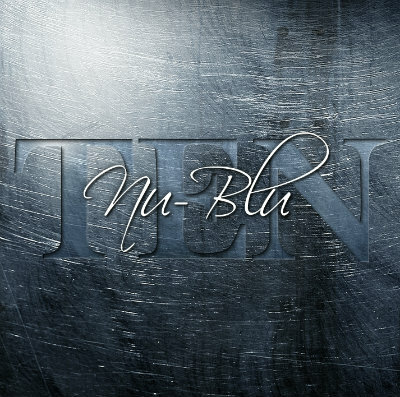 For more information on Nu-Blu’s new album, Tem, plus details on the Ten Tour, please visit Nu-Blu.com, and follow them on Facebook and Twitter.